This is an optional Jammin Products 4mm Carbon Front Shock Tower. 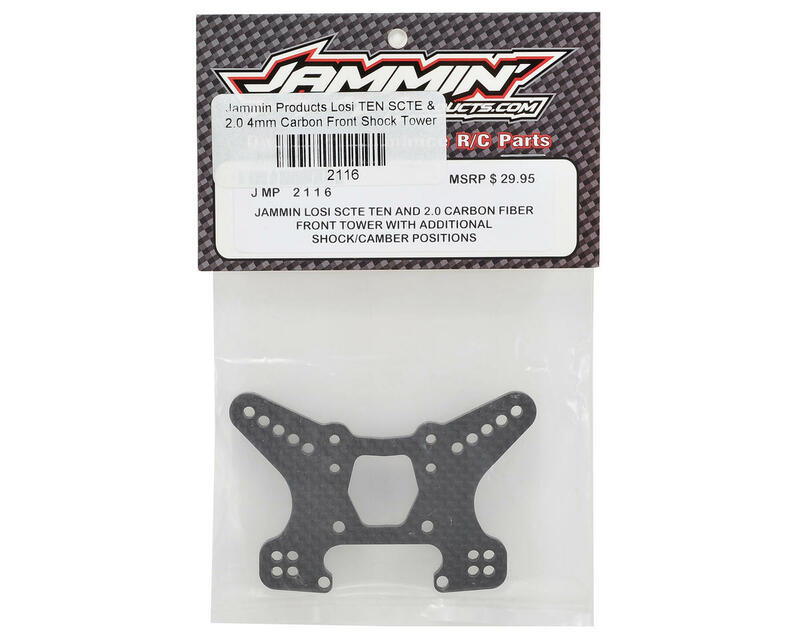 The Jammin Products Carbon Front Shock Tower has been designed, tested and manufactured in the United States from US made 4mm thick carbon fiber material to provide a lightweight and strong shock tower with increased tuning potential. 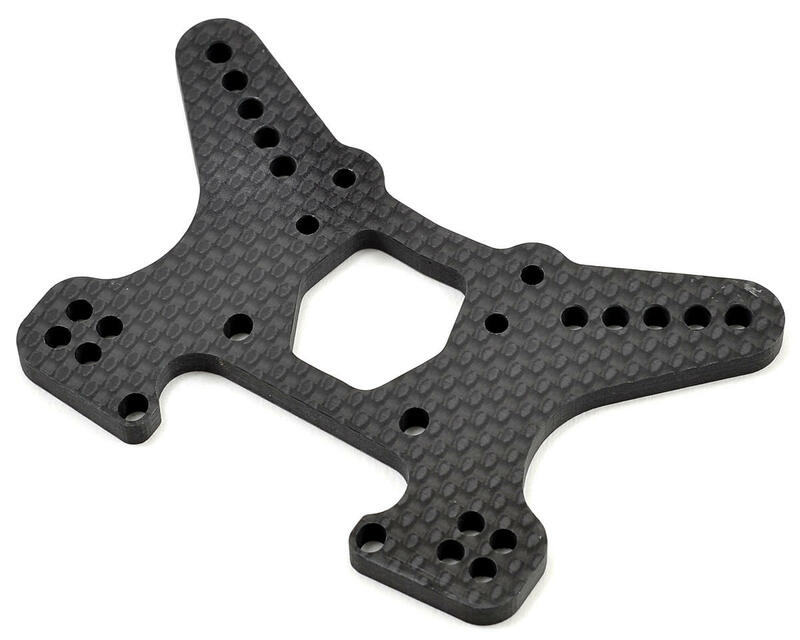 The Jammin shock tower includes the same camber link positions, but has a total of five shock mount positions, with an added outer position for improved stability.